After letting the dust settle over summer and planning our exciting couple years ahead, we had to give you legends something Arteq to dance too while the sun still pierces our skin. 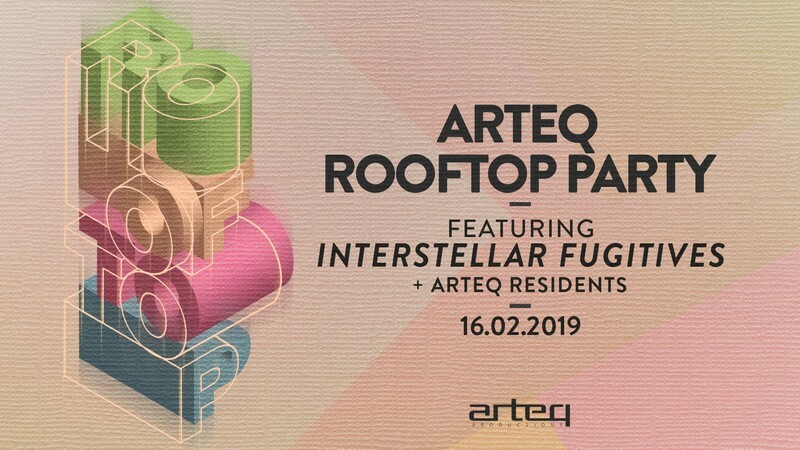 Arteq Rooftop Party takes us to the Central Bustyourmoves District, where a cute and intimate space awaits the Arteq soldiers thumping feets. Arteq residents take you on a journey of precise musical programming with the help of two of the hottest ladies in the biz' right now. Interstellar Fugitives make their Arteq debut come Feb 16, and will make you move the way you want to move. Food, cocktails, cigarettes, cloak all available above. Just come and rave before we blow your mind with Arteq turns Four. See you there. Strictly limited capacity. No birthday deals.